Whether you travel by car or by plane, your journey to Tofino begins here. 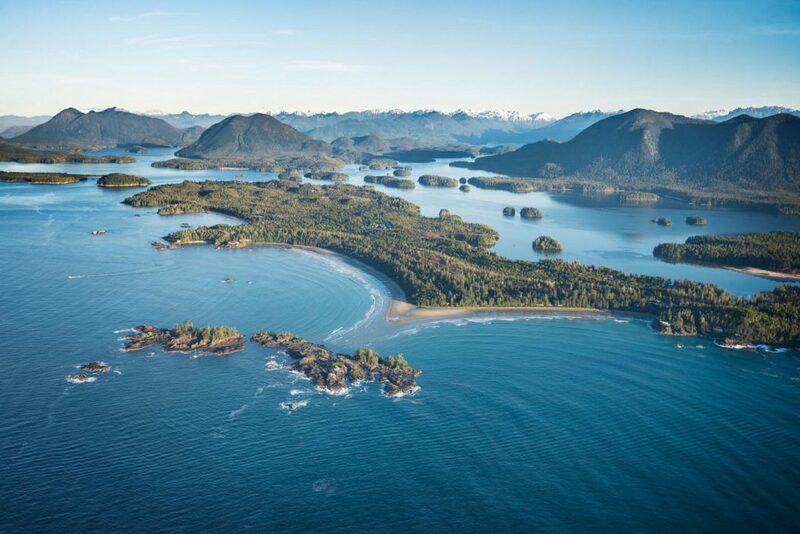 Yes, you can fly directly to the Tofino-Long Beach Airport (YAZ) from Vancouver on daily scheduled flights with Pacific Coastal Airlines or into the Tofino Harbour with Harbour Air! Feeling adventurous? Inquire with our member businesses about chartering a seaplane or a helicopter to fly to Tofino from points throughout British Columbia. That you can fly to these airports on Vancouver island’s east coast? Both Nanaimo (YCD) and Comox (YQQ) are approximately a 3-3.5 hour drive to Tofino and are both served by a few vehicle rental companies. Frequent bus service to Tofino is available from Vancouver, Victoria and most Vancouver Island communities. The Clipper Ferry: year-round, daily passenger ferry service between Seattle and Victoria. Black Ball Ferry Line: year-round, daily vehicle and passenger ferry service between Port Angeles and Victoria. Washington State Ferry: seasonal vehicle and passenger ferry service between Anacortes or the San Juan Islands and Sidney (30 minutes north of Victoria). Travel north along Douglas Street, which turns into the Trans Canada Highway/BC-1 for 105 kilometres (65 miles). Turn left at Nanaimo Parkway/Highway 19 (signs for Parksville/Campbell River) and continue north for another 43 kilometres (26 miles). Take Exit 60 onto Highway 4 ( also known as the Pacific Rim Highway ), heading west for 156 kilometres (97 miles). You will drive through spectacular Cathedral Grove, historic Port Alberni (drive straight downhill and turn right at the junction), and on the winding road around Sproat and Kennedy Lakes. You will also drive through scenic Sutton Pass, at an altitude of 250 metres (850 feet) – where we especially recommend heeding to the speed limit. Travel westward until you come to the junction between Tofino and Ucluelet. Turn right at the Tofino/Ucluelet junction and drive north towards Tofino for 28 kilometres (17 miles). You will drive right through Pacific Rim National Park Reserve. Take a break and get your first view of the ocean at the Incinerator Rock parking lot at Long Beach (watch for the green sign signaling the turnoff), or continue toward Tofino. Once you exit the Park, pass Long Beach Lodge Resort and Cox Bay Beach Resort. Look for our Visitor Centre on the right side of the road and stop in to say hello! Your overall travel time from Nanaimo to Tofino will range between 2.5 and 3 hours. Safe travels! Take Exit 60 onto Highway 4 ( also known as the Pacific Rim Highway ) heading west for 156 kilometres (97 miles). You will drive through spectacular Cathedral Grove, historic Port Alberni (drive straight downhill and turn right at the junction), and on the winding road around Sproat and Kennedy Lakes. You will also drive through scenic Sutton Pass, at an altitude of 250 metres (850 feet) – where we especially recommend heeding to the speed limit. Travel westward until you come to the junction between Tofino and Ucluelet. Turn right at the intersection onto Military Row (drive approximately 2 kilometres / 1.25 miles). Once on Highway 4, you will drive through spectacular Cathedral Grove, historic Port Alberni (drive straight downhill and turn right at the junction), and around Sproat and Kennedy Lakes. You will also drive through scenic Sutton Pass, at an altitude of 250 metres (850 feet) – where we especially recommend heeding to the speed limit. Travel westward until you come to the junction between Tofino and Ucluelet. If you’re driving to Tofino from November through April, you may want to check the Sutton Pass webcam. This stretch of road between Port Alberni and Tofino can become a snowy winter wonderland before you see Tofino’s greenery and beaches. Winter tires or/and chains are required by law from October 1 through March 31. If you're planning on driving to Tofino, Pacific Rim National Park Reserve or Ucluelet soon, please read this message. See you soon! The BC Ministry of Transportation is conducting a significant upgrade to Highway 4 near Kennedy Lake, with completion expected for Summer 2020. Please consult this detailed, hourly roadwork schedule. 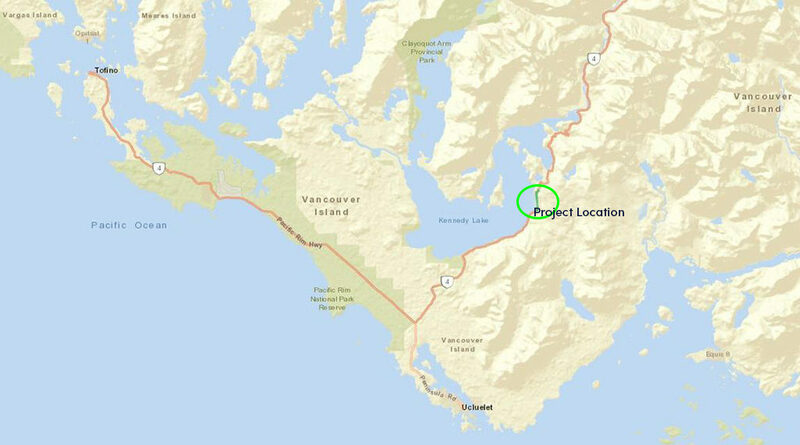 Visitors are encouraged to check current road conditions and travel delay information before setting out on the drive between Port Alberni and the West Coast (126 kilometers/78 miles along Highway 4) in order to plan travel accordingly. Travel delays of up to 30 minutes, due to single-lane alternating traffic at the construction site, are expected each day. It is advised that all travellers along Highway 4 plan to complete the journey before 9:00pm to avoid possible 1-3 hour road closure periods overnight. Washroom facilities along Highway 4 are also intermittent. You will find them at theTaylor Arm pullout and Kennedy River pullout.